These next 5 slots from EGT continue our drive to bring you diverse themes! With the warmer weather comes five additional games from EGT! These added games continue to diversify our offering into fruit, Ancient Roman, dragons, caramel and adventure themes. 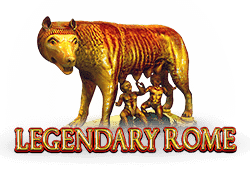 One of the largest empires of the ancient world, Legendary Rome from EGT is a video slot game encompassing 5-reels, 3-rows and 1 to 20 variable paylines offering a chance to conquer one of four progressive jackpots! The reels consist of all sorts of thematic symbols starting with the all-powerful Caesar, his beautiful wife Pompeia, a harp, costume mask, wine chalice with wine jug and table of scrolls. The Coliseum wild can substitute for all other symbols except the scatter symbol while acting as a 2x multiplier. The appearance of the wild symbols forming their own payline can credit you with up to 200, 5,000, 50,000 or 200,000 coins. The scatter symbol can appear on the 1st, 3rd and 5th reels during the main games and on the 5th reel during 5 or 10 free spins. During the free spins you will be presented with two options. The first is to play with 5 free spins with a symbol randomly selected from 4 higher paying symbols to act as a special symbol. The alternative option is 10 free spins with one of 7 lower symbols to act as a special symbol. You can also win up to 800 coins by collecting all three scatters. The slot also has a red/black card gamble that is triggered on normal wins of less than 14,000 coins offering a chance of double or nothing. Finally, the slot has a four-level mystery jackpot progressive jackpot. 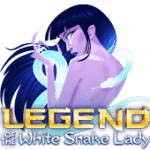 Play Legendary Rome Bitcoin slot for free. With a middle of the pack volatility, 30 Spicy Fruits from EGT is a 5-reel, 3-row and 30 fixed paylines slot with four progressive jackpots! The symbols that you’ll find here are the Lucky 7, bell, triple, double and single bar followed by plums, oranges, lemons and cherries. Included in the game is the hot pepper wild that can substitute for any symbol except the money bag scatter symbol. This symbol can form a winning payline with 2, 3, 4 or 5 combining to create wins of up to 200, 1,000, 5,000 or 20,000 coins. Next up and appearing possibly as stacked on the 2nd, 3rd and 4th reels only are the money bag scatter symbols. 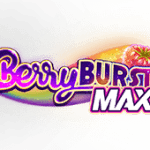 With 7 or more of these lucky charms you will collect up to 1,200 coins on the maximum bet. Furthermore, 7 to 9 scatters will unlock anywhere from 7 to 30 free spins. 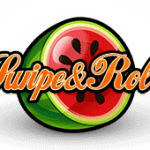 Amongst the hot fruits you will also find a red/black gamble feature triggered on less than 15,000 coins for a chance at double or nothing. Arguably the biggest feature is the Jackpot Cards four level mystery jackpot where you can win one of four progressive jackpots. 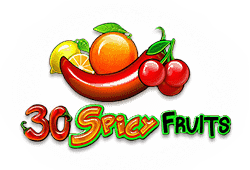 Play 30 Spicy Fruits Bitcoin slot for free. 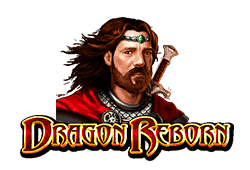 Dragon Reborn from EGT is a 5-reel, 3-row and 1 to 20 variable paylines slot which offers 4 progressive jackpots! The setting for this slot is a picturesque realm of grasslands and mountains ruled by a King and Queen. These first two characters represent the two highest paying symbols followed by a sword + shield, horn, emerald jewel and blue flask. The Dragon’s eye wild symbol can substitute for all symbols except the orb scatter symbol when appearing on the 2nd, 3rd and 4th reels. The next feature is the dragon egg scatter that can credit you with up to 2,000 coins when appearing on the 2nd, 3rd and 4th reel. 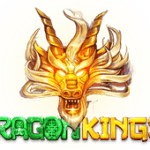 When the free spins is unlocked you get a chance at one of 10, 15, 20 or 25 free spins in combination with extra wilds by cracking open dragon eggs. During the free spins an extra wild symbol is added, at random, to the spaces. Another feature is the card gamble which offers a 50/50 chance to double your winnings but guess wrong and you lose it all. 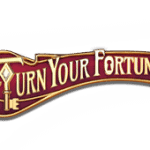 As is common to EGT slots, the slot includes a four-level mystery jackpot feature that is randomly triggered. 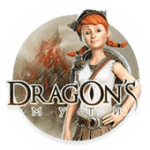 Play Dragon Reborn Bitcoin slot for free. It takes a temperature of around 340o F to turn sugar into caramel, so when EGT calls this slot Caramel Hot you better believe it’s sizzling! Part of the reason for this is that the 5-reel, 3-row and 1 to 30 variable paylines slot has four progressive jackpots! Caramel Hot uses standard fruit symbols that include a bell, apple, bananas, grapes, watermelons, plums, oranges, lemons and cherries. Adding to the sizzle, the Lucky 7 symbol is a wild that can substitute for any other symbol except the star scatter. 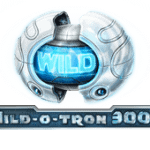 The wild can also form its own winning payline with 2, 3, 4 or 5 symbols crediting you with up to 200, 1,000, 5,000 or 20,000 coins! The star scatter can appear on any position and the appearance of 3, 4 or 5 will reward you with 3,000, 12,000 or 120,000 coins respectively. The slot also has a red/black card gamble which gives you a 50/50 chance at double or nothing. This is randomly triggered on wins of 14,000 coins or less at the highest bet level. 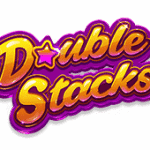 The last feature which is the four level mystery jackpot represented by four poker symbols which is randomly triggered. 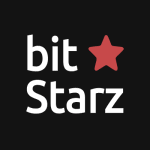 Play Caramel Hot Bitcoin slot for free. It’s a jungle out there, so why not create a slot with that exact theme in mind? Well, EGT does just that in the 5-reel, 3-row and 1 to 10 variable paylines slot Jungle Adventure with 4 progressive jackpots! 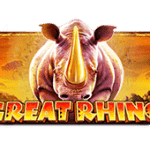 The slot might more aptly be called jungle fever because some of the amusing creature symbols include a maraca playing rhino, a horn playing hippo, a bug-eyed parrot, a singing lizard and a martini sipping snake. Along for the ride, is the lion wild which can substitute for any symbol except the scatter. It can also form its own payline with 2, 3, 4 or 5 symbols crediting up to 200, 2,000, 20,000 or 100,000 coins respectively. The scatter pays left to right on any position on the reels with 3, 4 or 5 symbols crediting you with up to 400, 3,000 or 10,000 coins. The slot offers 12 free spins triggered with 3 or more scatter symbols accompanied by a 2x multiplier when the drum playing monkey appears on the 3rd reel. This slot offers a crack at one of the four progressive jackpots and you can also try your hand at the card gamble feature for double or nothing. 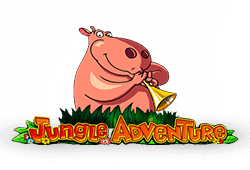 Play Jungle Adventure Bitcoin slot for free.